Ever wonder how this whole thing started? 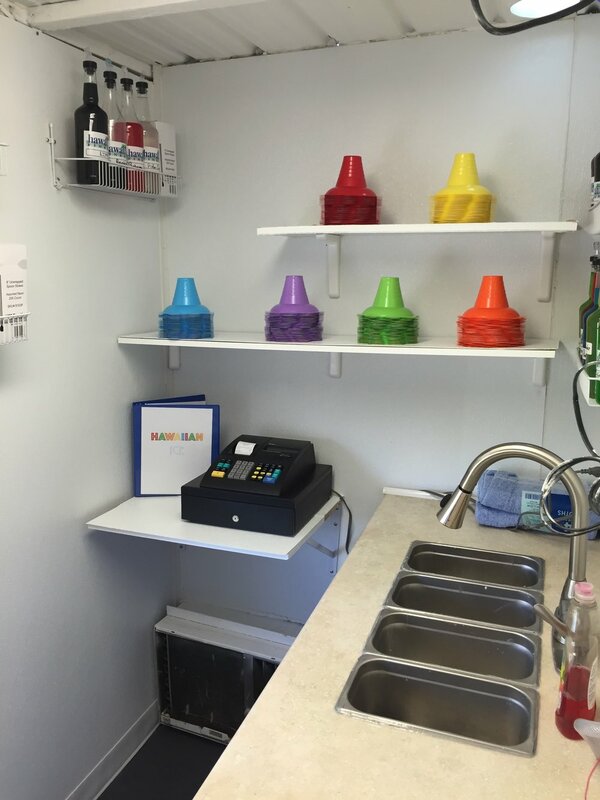 Learn about KC's largest shave ice company, and how far we've come! Patrick Revnew - Co-Founder and CEO - Meet Patrick, a 21 year old junior at the University of Missouri. Patrick came up with the idea of Hawaiian Ice in high school, but his vision wasn't realized until he turned 18, when Hawaiian Ice began its first season. Patrick has had the entrepreneurial spirit ever since he was a child and hopes to continue running his own business for many years to come. Josh Revnew - Co-Founder and Regional Manager - Meet Josh, a 17-year-old student at St. Pius X High School. Josh joined the team halfway through Hawaiian Ice's first summer. He invested at a pivotal point to allow the company to switch to a newer and faster machine. Josh hopes to go to a four-year university once he graduates high school. He aspires to obtain a degree in business administration and continue developing the visions of Hawaiian Ice. The picture above is a small piece of history. Ever since he was 16 years old, Patrick dreamed of opening his own shave ice stand in Kansas City. When Patrick was a senior in high school, he and Jacob were working at a retirement home together. One day, he decided to tell Jacob about this dream. Jacob was immediately interested in the idea, and the two decided to team up and purchase the first unit. With the help of Patrick's family and friends, they completely transformed that first trailer! After many long nights, the original stand opened at Zona Rosa on May 30, 2015. Patrick, Jacob and Josh worked hard, and together, they closed their first season with more success than they ever thought possible. After the first season, the team had to decide whether to simply open the same stand again or to expand the business. Since their dream was to grow the first shave ice company throughout Kansas City, they decided to open a second stand at Burlington Creek. They wanted to create a brand, and they did just that. The team has now purchased a mobile Event Tent, which they plan to set up at multiple events and festivals throughout Kansas City. 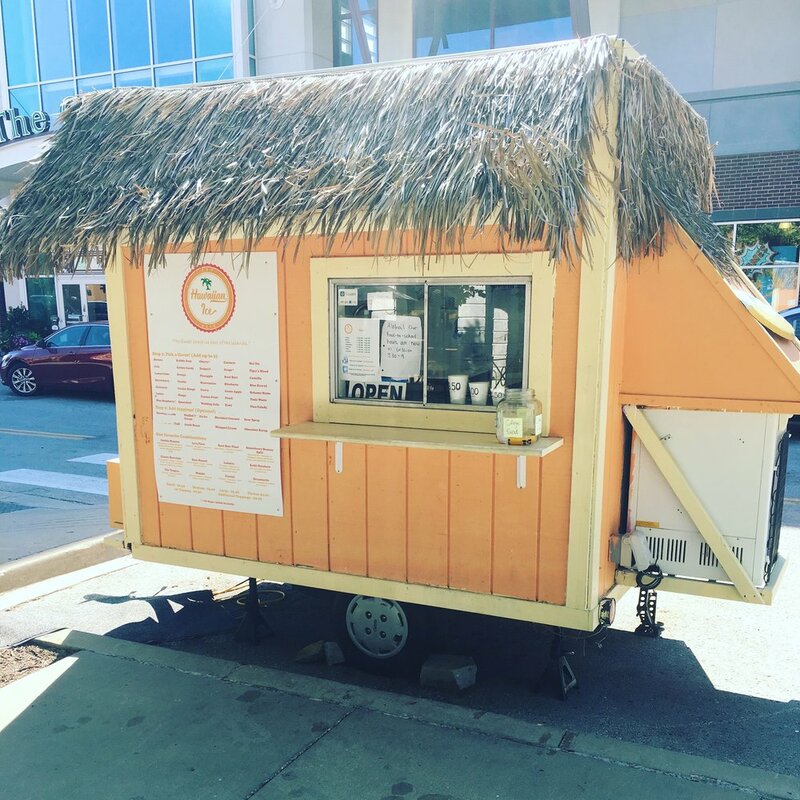 With two seasonal locations as well as the Event Tent, Hawaiian Ice has become the largest shave ice company in Kansas City. It is only the beginning for Hawaiian Ice, and the team hopes to continue growing their business.